Today I want to share something different then my usual jewelry designs, fabric rag beads. These beads are fun to make, and makes unique one of a kind jewelry. 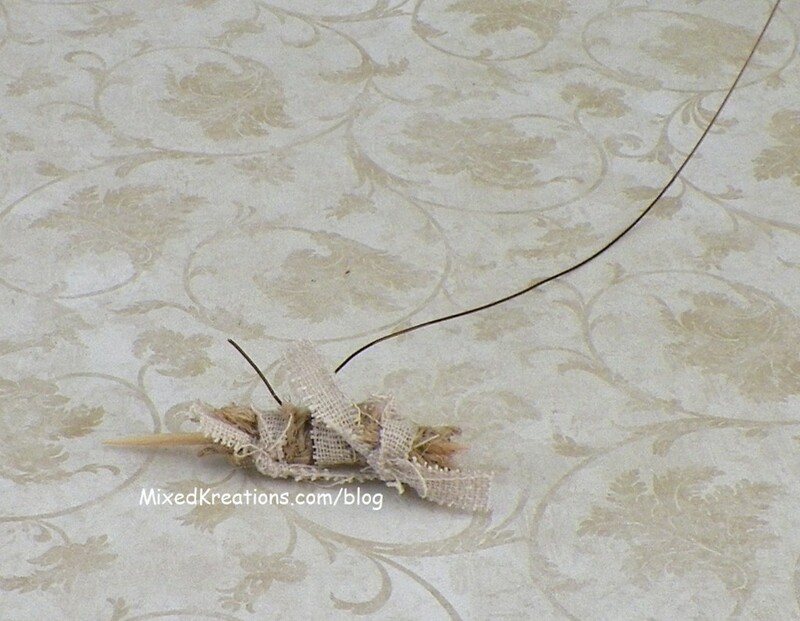 Start off by taking small burlap pieces, thin strips of fabric of your choice, and toothpicks. 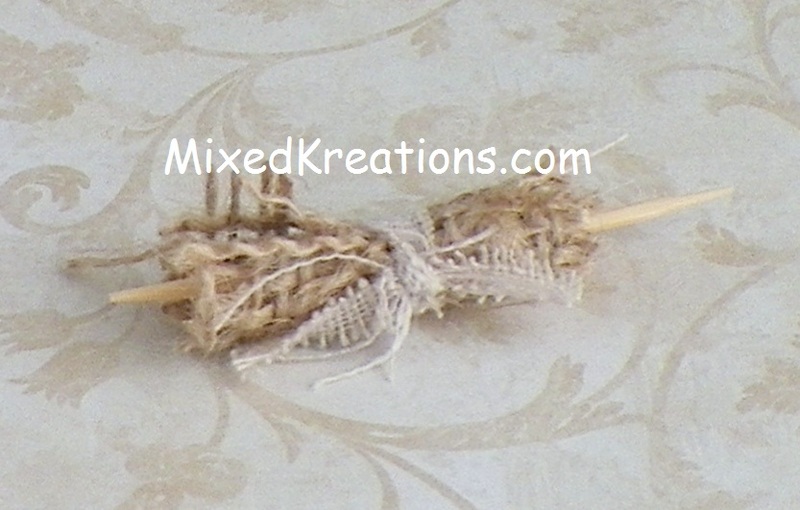 Then start wrapping a small burlap piece around a toothpick. Then tie the thin strips of material around the burlap good and tight. I would tie at least three or four strips to help hold the burlap together. You could use different colors of strips, or even yarn. 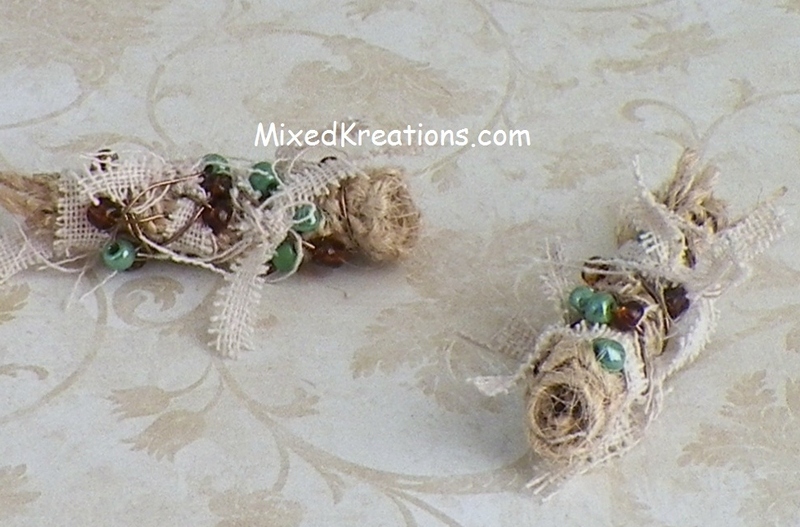 Now take your artistic wire and wrap it around the burlap and give it a twist to tighten. Now add a seed bead, then weave and wrap the wire through and around the burlap, add another bead and weave and wrap it through burlap again. 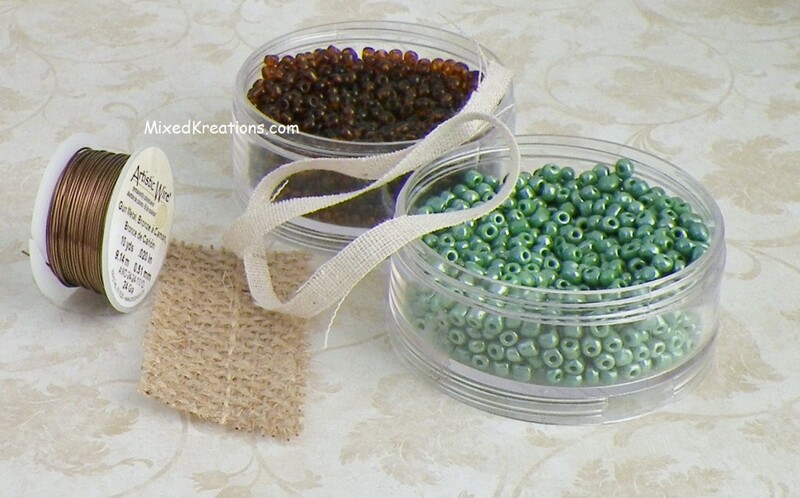 Continue weaving and wrapping the beads and wire until you get your desired look. 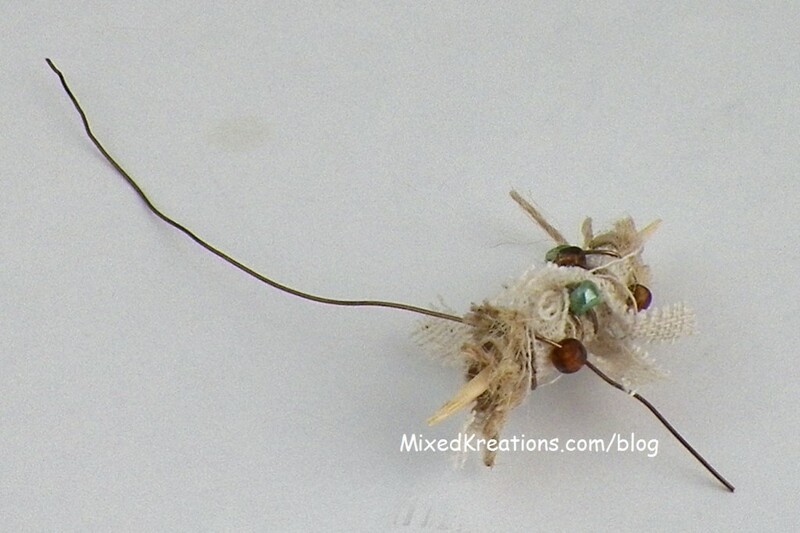 Be sure to stick the wire through the burlap (weaving) this will help hold the bead together. 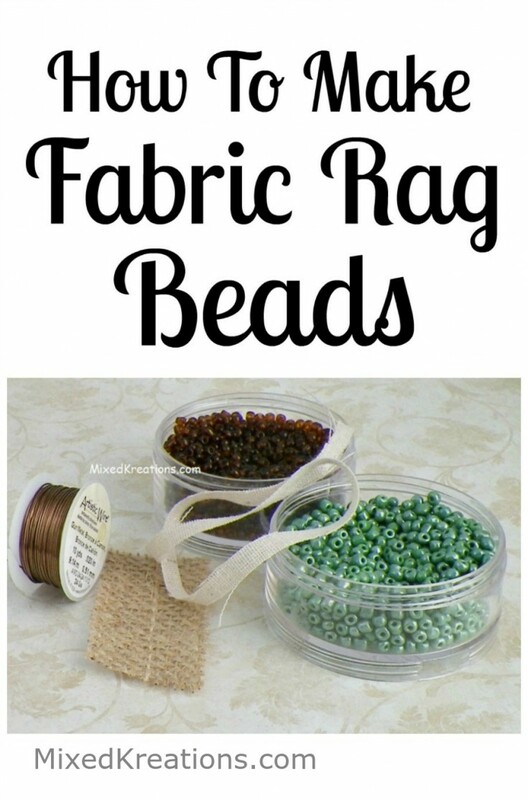 Ta Da… How do you like my fabric rag beads? 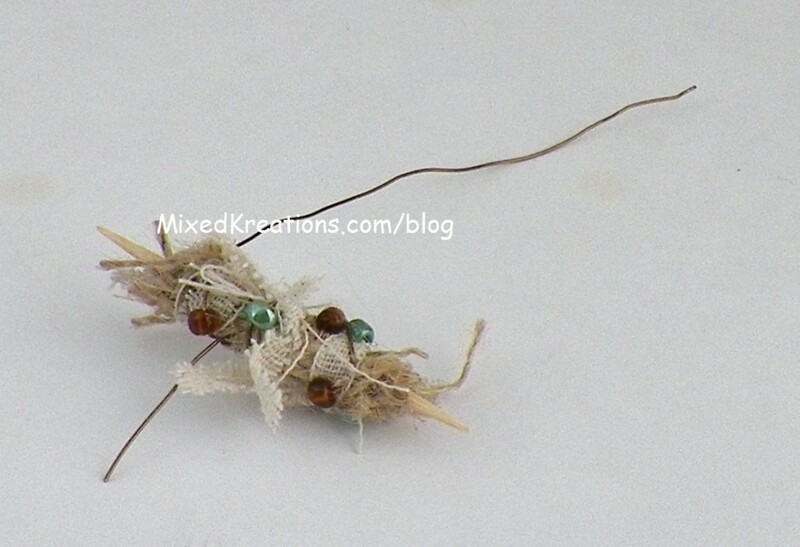 Hop on over to see the mixed media necklace that I made using these fabric rag beads. These are super cool beads! Thanks Heather! I need to get back into making more jewelry again. I have had some ideas for different beads for a while. Just need to get with it. Thanks Linda! Awesome post, my next project. Love bead making. Have a great week. Hi Susan! These are really fun to make. Can’t wait to see what you come up with.